If you are from Oklahoma City then you are sure to be a Thunder fan. 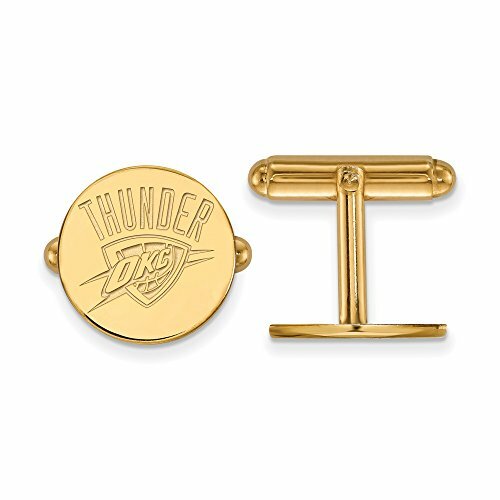 Celebrate your favorite team with these Oklahoma City Thunder cuff links. We are a certified LogoArt retailer and this item is licensed by the NBA. It is crafted by LogoArt right here in the USA and is made from 14k yellow gold plated sterling silver. They are 15 mm in width. This item is made to order, please allow an additional 7 days for shipping.